Among the 32 state capitals in Mexico are a few that get almost all the attention on travel sites and agency itineraries. Mexico City, Puebla, and Oaxaca are undeniably gorgeous and should be on the list of every visitor. But if you have time and don’t depend on fixed tours or inflexible travel companions, a look beyond the conventional reveals the splendid architecture, vibrant art culture, and crazy gastronomy of the lesser-visited capital cities. Here’s where to head now before word gets out. 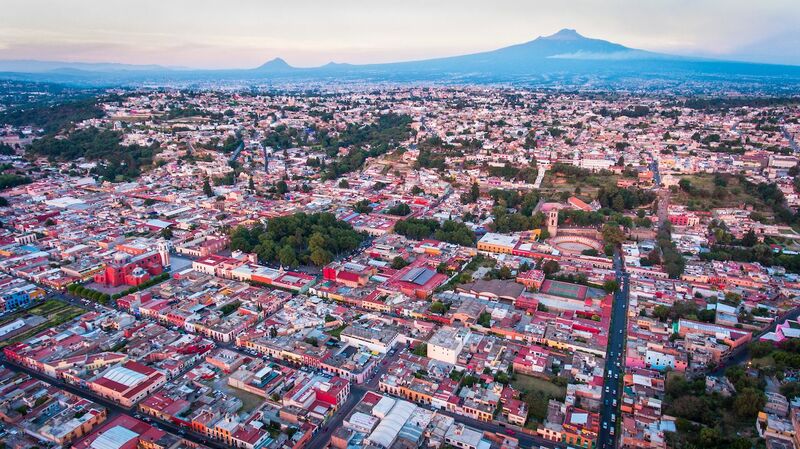 The cozy and compact capital of the smallest Mexican state is only a couple hours from Mexico City and less than 30 minutes from another tourist draw, Puebla. Despite the easy commute, this capital doesn’t receive many visitors from other states and countries, which makes it even more attractive for people searching for an authentic experience. Tlaxcala is rich with history, and the best way to take it in is by visiting the Government Palace. Inside are huge, colorful murals that vividly represent essential scenes and moments of Tlaxcalan history. An insider’s tip: For a better understanding of the murals and the stories behind them, ask the staff for a short explanation. Another must is the Tlaxcala Art Museum, especially if you’re a Frida Kahlo fan. This small contemporary art museum has a collection of early and lesser-known Frida Kahlo artworks. A few blocks from the city center and right next to the Zahuapan River you’ll find the Living Museum of Folk Arts and Traditions, a charming exhibition with an emphasis on textile and Tlaxcalan village life. Artisans are often there to guide you through the more than 3,000 artifacts, and next door is a small shop with quality local products, such as honey, hand-woven scarves, and baskets. You’re in the right place for incredible food, as well. Agriculture is widespread in the state, and throughout the city you’ll find fresh blue corn tortillas, pulque (an alcoholic beverage made from the fermented agave sap), and fried insects that taste better than you’d think. Head to Pulquería La Tía Yola near the main square and order the passion fruit curado (pulque mixed with fresh fruit), beef and pulque stew, a pit-barbecued meat known as mixiote, and some escamoles, local ant eggs known as Mexican caviar. 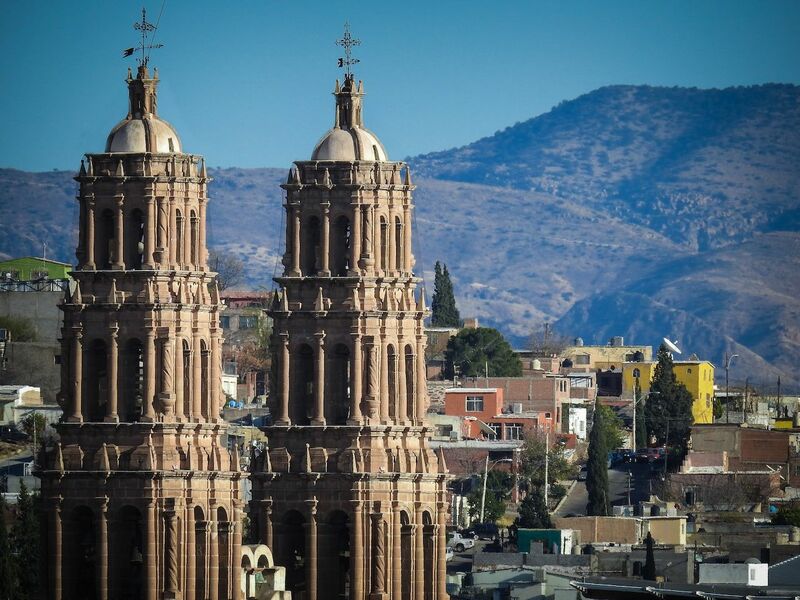 Not long ago, San Luis Potosi was considered a grey, industrial city with a great strategic position in a rich agricultural, livestock, and mining region. It was a draw for industry and commerce but totally off the radar for foreign and domestic tourists. But things have been changing in the last few years. Recent openings of several boutique hotels and an arts center, numerous music festivals, and a splendid craft beer culture are beginning to draw a wider population. The city’s historic center is a great mixture of different artistic styles and an important example of colonial architecture. In 2010, it was listed as a UNESCO World Heritage site as a part of Camino Real de Tierra Adentro, also known as the Silver Route. The route consists of 55 sites along the nearly 900-mile road that was used for the transportation of silver from San Luis and other Mexican states to New Mexico in the United States. To learn more about the city’s mining history, pay attention to the markers in Spanish and English, with more details about specific buildings throughout the city. The Arts Center Centenario, located in former federal prison, is a castle-shaped building that’s home to an arts academy, theater, library, and a small market selling innovative creations from academy’s students and professors. The building also houses several exhibition halls, with everything from photography to ceramics, and the Leonora Carrington Museum. 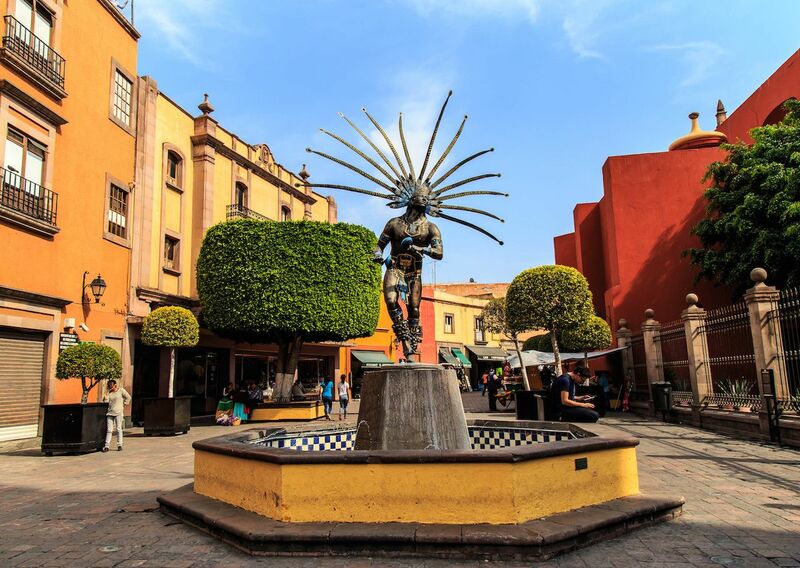 The National Mask Museum on Plaza del Carmen is dedicated to Mexico’s masked dance and ritual heritage from the pre-Hispanic period to the present. It boasts 1,300 masks, the largest collection in the country. On the outskirts, Tangamanga Park invites you to relax by the lake, see a movie in Carlos Amador Theatre, or learn about the state’s diverse climate in the Ecomuseo. Two parks have the same name, so be sure to head to the one with “Ex-Hacienda” in it. The nightlife scene in San Luis might not be as vibrant as in larger Mexican cities, but there are some attractive bars and pubs that can keep you awake until the early hours. The city has also been successfully following the craft beer boom across the country. Check out La Oruga y La Cebada and La Internacional Cerveceria. 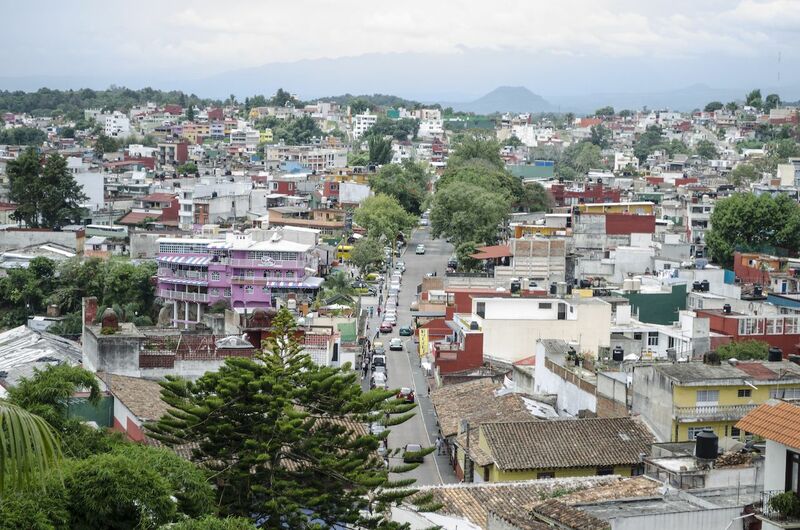 Xalapa has always been in the shadow of the bigger and warmer port of Veracruz. This is partly because it always seems to be cloudy and raining, a turn-off for many people. But the city, surrounded by misty highlands and known for producing the best Mexican coffee, is a culture and art hub with a large student population and an alternative vibe. The first thing on your list should be visiting Xalapa’s Anthropology Museum, one of the country’s most important archaeological museums. It contains more than 2,500 pieces of Mesoamerican pre-Hispanic art, principally from four civilizations: the Olmecs, the Totonacs, the Huastecs, and Classic Veracruz. Go early and plan to stay for a few hours. Next, the Contemporary Art Gallery in a renovated colonial building has an interesting range of exhibitions and a small movie theater projecting art-house films. Another worthwhile gallery is Pinacoteca Diego Rivera, home to the largest collection of work by Mexico’s most famous muralist. If you’re not yet tired of art and murals, go graffiti hunting and take in the myriad murals spread throughout the city. Nature lovers should visit Tecajates Park, a jungle-like natural park a few blocks outside the historic center. Rustic paths, stone aqueducts, and a water spring will make you forget you’re even in a city. Another attractive nature escape is the Francisco Javier Clavijero Botanical Garden. Besides being a beautiful place for relaxation, the garden has a renowned environmental education center and a rich collection of plant life. Nights in Xalapa are never boring. You can have your share of fun in the trendy bars of the crowded Callejon Gonzales Aparicio. For those who prefer a more relaxed evening of traditional music, there’s plenty of fandango on the nearby streets. Whether you’re a lover of traditional Mexican spicy food or not, don’t leave Xalapa without tasting the stuffed jalapeños — yes, they’re named after the city. Try them with a beef, chicken, fish, or cheese filling. The capital of the largest Mexican state is a peculiar city with wide streets, one-floor buildings, and plenty of cowboy boot and hat stores. Beyond it is a vast desert landscape. The dry climate tends to keep people behind doors during hot afternoons. As a starting point, the El Chepe train trip through Copper Canyon is one of the most unique experiences to have anywhere in Mexico. It does get a lot of Mexican tourists, but most of them just spend the night to hop on the train first thing in the morning — so you’ll probably be the only tourist wandering around the city during the day. Several museums are worth visiting with the Historical Museum of the Mexican Revolution at the top of the list. Here, you can get a sense of how General Francisco “Pancho” Villa lived during his famous revolutionary days. The museum houses furniture and everyday objects from the revolutionary years, as well as a collection of weapons used by Villa and his division in many combats against the governing elite and a century-old Dodge that witnessed the general’s assassination. Also, don’t miss the cathedral, regarded as northern Mexico’s finest Baroque monument, and Casa Chihuahua Museum, the city’s cultural center. Only a block away is Plaza Mayor, a huge square where you can cool down under the shade of trees. It’s the only place in the city where you’ll meet indigenous Tarahumara people, famous for long-distance running. Most of them live in distant canyons and mountains, so they rarely come to the capital. The few women in distinctive flowery skirts who do come sell handmade crafts and dolls. If you buy some souvenirs, don’t bargain. For you, a few dollars is a cup of coffee; for them, it’s food for the entire family. Head to the Mammoth Museum to check out the remains of large extinct animals, among them the grey whale, dinosaur, and, of course, mammoth. Another unconventional museum where you can brush up on your knowledge about history, science, and technology through play is the Semilla Museum. On the culinary side, Chihuahua is known for some of the best pork and beef in the country. Order huevos con machaca for breakfast, a dish of scrambled eggs with dry shredded meat accompanied with beans, guacamole, and tortillas. You may notice that these are made of wheat, so if you prefer the corn ones, specify it at the time of ordering. For lunch or dinner, treat yourself to a plate of fat grilled steak. The finest cuts are served in high-end restaurants, so if you’re up for the best, prepare yourself for the financial hit that accompanies the formal setting. For those on a budget, many other cantinas serve thinner, but still tasty, carne asada. Either way, you won’t stay hungry in Chihuahua. Queretaro is one of the fastest growing and most dynamic Latin American cities, a strong business and economic center with a developing technology and aerospace industry. It’s also the metropolitan area with the best quality of life in the country and one of the safest cities in Mexico. The birth city of the country’s Independence movement is rich with architectural and artistic treasures, fine-dining restaurants, contemporary-design boutiques, and contagious youth energy. 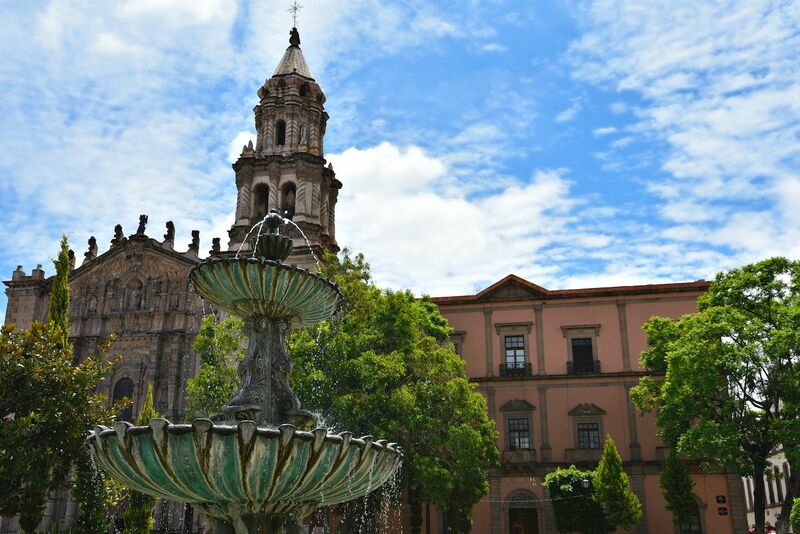 Queretaro’s historic center is among the most diverse and dispersed of all Mexican capitals. You’ll need more than a regular morning to discover the numerous hidden pedestrian streets with stalls selling handmade crafts, the multiple gorgeous historic churches, and countless charming plazas with cafes and trendy restaurants complemented by towering trees and park benches. Keep walking until you’ve had your fill. The Mucal, or Calendar Museum, is the first of its kind in the world, housing a unique collection of original Mexican calendars dating from 1890 until today, along with artworks from various painters. Even if calendars aren’t your thing, stop by just to appreciate the building itself and the marvelous garden with its pleasant café. Next, head to the Temple of Santa Cruz, built on the site of the supposed miraculous appearance of Santiago that led to the Otomí surrender to the conquistadors. Here you can see how indigenous Chichimecas carved a cross. Take pictures of the monumental aqueduct that fed the city with fresh water for decades and still retains 75 semicircular arches and learn about the city’s role in the independence movement at the Regional Museum of Queretaro.